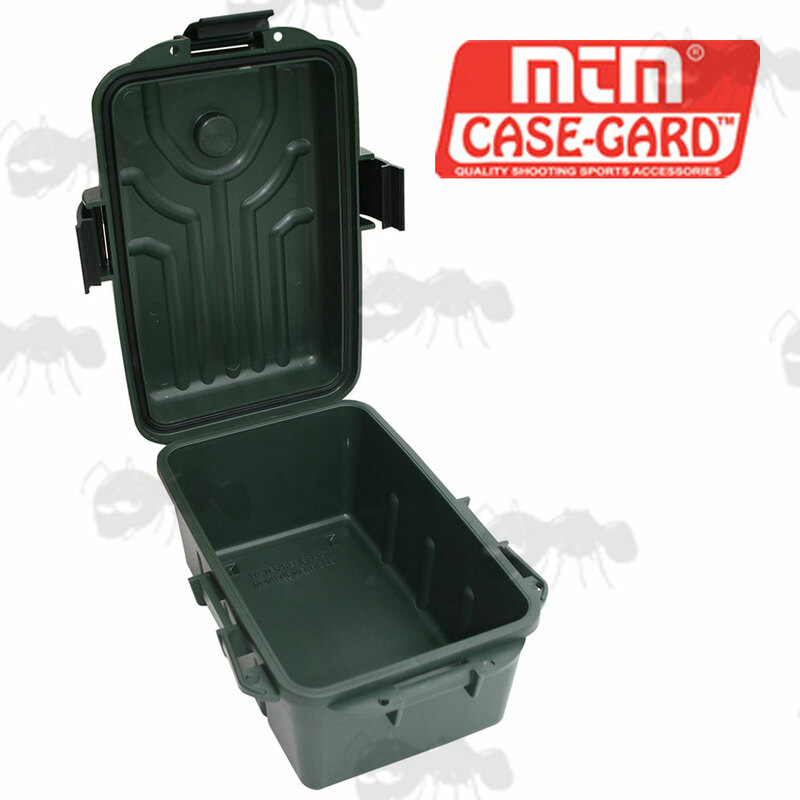 MTM Case-Gard survivor dry boxes. 20.5cm x 12.5cm x 11.25cm internally. When faced with adversity, rarely are you given a second chance. You rely on experience to get to your destination and the right gear to get it done. With its water resistant O-Ring seal, built-in compass and signalling mirror, MTM Survivor boxes are designed for extreme environments. 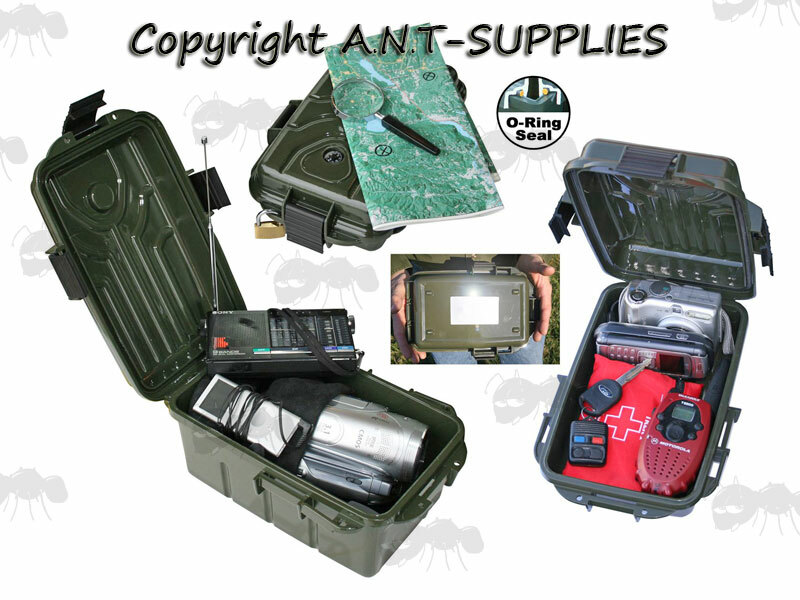 Water and weather resistant, they can be used to carry all types of personal and safety items such as medicines, first aid kits, flash lights, flares, ammo, wallets, snacks, rain gear, maps etc. Don’t be caught without one ~ it is your survival kit. Features: built-in compass, signaling mirror, water resistant, tongue and groove O-ring design, triple latched for best possible seal, lockable, rugged construction, floats. Please note that they are highly water resistant but not submersible.